Congratulations! Looks like a fun book for a not-so-fun childrearing moment! Yayyy! Looks great, and the cover is clever and funny and adorable! Congratulations! Congratulations on the new book being launched! You and Andrea must be very proud. 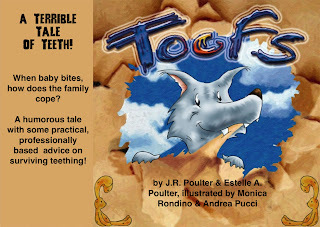 Toofs is wonderful. Look forward to hearing more about him.